In the past two parts of this series, I have looked closely at the biopolitics of self-determination and free will in Rapture’s economic environment in relation to Ayn Rand’s principles of Objectivism, as well as the new aesthetic moral imperative constructed by Dr. Steinman that compelled new ways of seeing and perceiving beauty, contextualized within the history of eugenics. This final section will focus more broadly on the bioethical dilemmas Rapture’s technological innovations present, and the ways in which technologies like ADAM and plasmids reformulate established notions of humanity. Rapture not only presented its citizens with new economic and political options within the utopian society, but also revolutionized modern technology. Rapture scientists discovered that certain sea slugs contain ADAM, which can be genetically manipulated to alter human physiology. ADAM led to the creation of plasmids, a special serum that triggered genetic mutation in humans and conferred “super powers” like the ability to manipulate elements like electricity, ice and fire. While the unstable stem cells in ADAM were initially used to cure conditions like cancer, ADAM’s marketability and technological possibilities for plasmids soon led scientists like Brigid Tenenbaum—who discloses through audio diaries that she was a part of the scientific medical experiments during the Holocaust and felt a special kinship with the Nazi doctors—to search for ways to mass produce ADAM. The solution was to implant the sea slugs into host bodies, which scientists could use to harvest more ADAM and accommodate popular demand. This was how the Little Sisters were created, in response to the occult economy of Rapture, where citizens became hooked on the genetic potentialities of ADAM. As Rapture scientists rewrote the human genetic code, they redefined bioethics and ushered in a post-human paradigm. Let’s start with the plasmids. 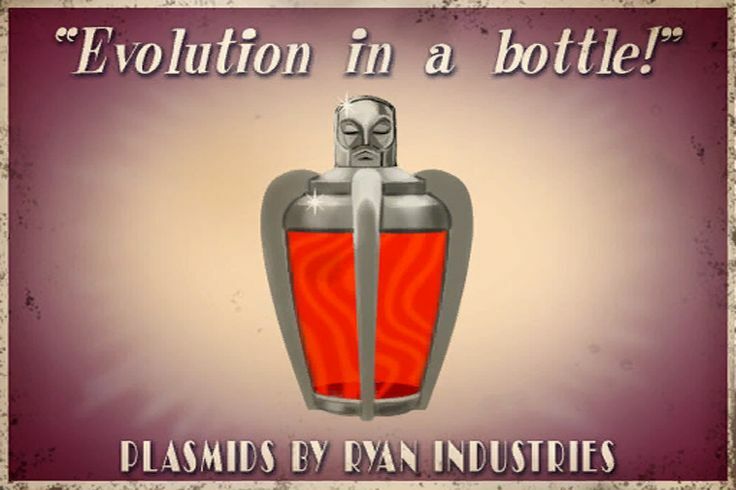 As Atlas retroactively relates to the protagonist, “Plasmids changed everything” (2007). Like Steinman’s desire to create a population of aesthetically perfect gods and goddesses, plasmids allowed individuals to genetically enrich themselves and expand their preternatural abilities. Similar to the society depicted in Gattaca (1997), the presence of plasmids radically altered expectations of the human genome and reformulated cultural assumptions about “normality,” spawning a schism between the genetically enriched and the normals. If everyone in a society is expected to participate in ADAM and plasmids, then those that abstained were left behind and deemed “parasitic” by the rest of the population. Advertising for plasmids is framed through the discourse of evolution. The situation was further complicated by the addictive qualities of ADAM, which only further fueled the free market economy. There was, however, a threshold to the almost divine capabilities that plasmids could confer before the user began to physically and mentally deteriorate. The negative side effects of plasmids are partially blamed for the degradation of Rapture. Plasmids “destroyed our bodies, our minds. We couldn’t handle it. Best friends butchering one another, babies strangled in cribs. The whole city went to hell” (2007). Just as plasmids rearranged the genetic code of the users, they scrambled the mind as well, leading to insanity and blood lust for much of the Rapture population. Many plasmid users began seeing ghosts, which scientists attributed to memories that were transferred from person to person through genetic sampling. These plasmid specters are evocative of the German concept of Unheimlich, or uncanniness, and the theories of Hauntology introduced by Jacques Derrida. According to Colin Davis, “Derrida’s spectre is a deconstructive figure hovering between life and death, presence and absence, and making established certainties vacillate” (2005:376), just as the plasmids transform humans into liminal figures straddling mortality and divinity, calling into question basic principles about the dignity and possibilities of human life. The specters that Derrida concerns himself with invite encounters with “what is strange, unheard, other, about the ghost. For Derrida, the ghost’s secret […] is the structural openness or address directed towards the living by the voices of the past or the not yet formulated possibilities of the future” (Davis 2005:378-379). Similarly, as the protagonist encounters his own ghosts throughout Rapture, he is forced to confront the past that informs the city’s horrendous present and reckon with the lingering residue of memory and horror that suffuses the space. Just as scientists like Tenenbaum or Yi Suchong could not have envisioned the monstrous effects of plasmids on Rapture citizens or society, the ghosts remind the player of the alternative present, and future, Rapture would have had if another path had been chosen. The plasmids so destabilized users that many descended into madness and violence. The Saturnine, an emergent cult, believed that they could communicate with ancient Gods through plasmids and the consumption of human blood. Those that overused plasmids, pushing the limits of the human mind and body, became Splicers—creatures not totally bereft of human sanity yet nonetheless vicious and physically marred by their transformation through ADAM. These are the creatures that now populate Rapture, interstitial figures that resemble zombies, existing at the boundaries between life and death. Many resemble corpses, stripped of their stereotypically humanistic appearances. Before the protagonist enters the Medical Pavilion, Atlas warns, “Frankly, I’m not ever sure if he’s [Dr. Steinman] still human” (2007). Just as the zombie “illustrates our doubts about humanity in an era in which the human condition may be experiencing a crisis of conscience as well as a crisis of consciousness” (Lauro & Embry 2008:91-92), the Splicer represents the viability of posthumanism, a population that has truly transcended the hallmarks of physical integrity and human consciousness. Splicers occupy the interzone of monstrosity and humanity, morality and hedonism, a hybrid of science and Objectivism gone awry. As David Meagher states, “the project of spectrality, the ontology of hauntology, is concerned with laying this extinct species to rest, to conjure it and then exorcise it, so that man, or his successor, can come to terms with this loss” (2011:182). It is Jack’s, and the player’s job to witness the Splicers, to deal with and recognize “the spirits and spectres of political systems, systems of thought” (Meagher 2011:182) that produced such creatures, and to end their reproduction. 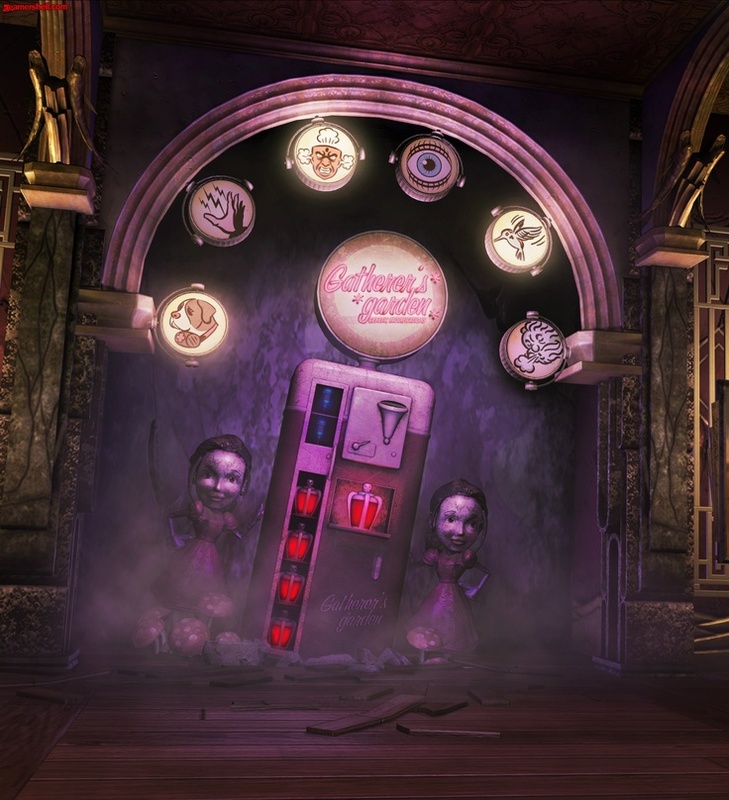 Part of BioShock’s goal is to confront the player with the speculative possibilities Rapture offers, and consider what present scenarios would allow for such a future. The discovery of ADAM not only precipitated plasmid madness and Rapture’s deterioration into Splicers, but also fostered the creation of Little Sisters—young girls genetically altered by the sea slugs to incubate and reproduce ADAM in larger numbers. The young girls, created by Brigid Tenenbaum, were radically altered by the experiment, to the point where their humanity is also called into question. When the protagonist first encounters a Little Sister, Atlas cautions, “You think that’s a child down there? Don’t be fooled. She’s a Little Sister now. Somebody went and turned a sweet baby girl into a monster” (2007). In the audio diary “First Encounter,” as if the Little Sisters are cultural others, Ryan relates, “there was a rather unpleasant aspect to her demeanor, as if she were in an altogether different place than the rest of us” (2007). In old recordings of both Ryan and Tenenbaum, they refer to the girls as “abominations,” and if you choose to harvest a Little Sister’s ADAM, their monstrosity and deviance is reinforced by Atlas, reassuring you, “You did the right thing. Just remember, these things aren’t human anymore” (2007). Not only have the girls been genetically warped, but through the medical process of slug implantation and mental conditioning, they become animalistic “things” to be wary of. One audio diary chronicles a mother’s disgust at her daughter’s transformation: “We saw our Masha today. We barely recognize her. ‘That’s her,’ Sam said. ‘You’re crazy,’ I told him. ‘That thing? That, that is our Masha?’” (2007). The genetic experimentation on the Little Sisters not only strips them of their humanity, but also destabilizes nuclear families and mutates principles of sympathy, trust and innocence. The Little Sisters are doubly dehumanized as they have also been objectified, treated as disposable objects that can be used as hosts for the sea slugs. Just as Karl Marx (1848) spoke of the alienation of workers from their labor according to capitalistic methods of production, given the demand for ADAM, Rapture scientists decided to use the young girls as commodities within the free market. Through the genetic manipulation and commodification of young female children, Rapture also refigured bioethical standards regarding experimenting on humans, disposing with the paradigm of “Do not harm” just as Dr. Steinman did. These bioethical standards were established to protect the essential rights all humans should have access to, including integrity and dignity of the body, as well as freedom from undue pain or trauma. The bioethics used within hospitals and other medical facilities operate according to certain Western moral philosophies, and are not always appropriate or easily translated across cultures. For example, according to Western principles of the body, a person’s consciousness is intimately linked to their humanity; subsequently, patients suffering from a traumatic brain injury, supported by life support yet without brain function, are considered vegetative rather than human. As Lesley Sharp notes, “Within this medicalized framework, a now dead donor’s once personalized self is reframed not in reference to embodied forms of lived experience, but rather as seated solely within the mind. Here, brain death marks the death of the self, and, therefore, of one’s humanity, an understanding that renders possible the opportunity to remove viable organs” (2001:113). This is, however, a highly contentious ideology, one that is complicated by religion and culture, and affects medical procedures like organ transplantation. The discourse that brain-death is ostensibly equivalent to the death of the patient is often refuted by Japanese doctors who, within their cultural and spiritual milieu, believe that a person is physically and existentially “alive” as long as their heart is beating (Lock & Honde 1990). The American and Japanese constructions of death devise different bioethical standards about how to treat the body. Lock and Honde also point out, “The Japanese case therefore provides a cautionary tale about the heterogeneity of value systems in the post-modern world, and an illustrative example of how the acceptance and application of technology can only be understood in cultural context” (1990:100). 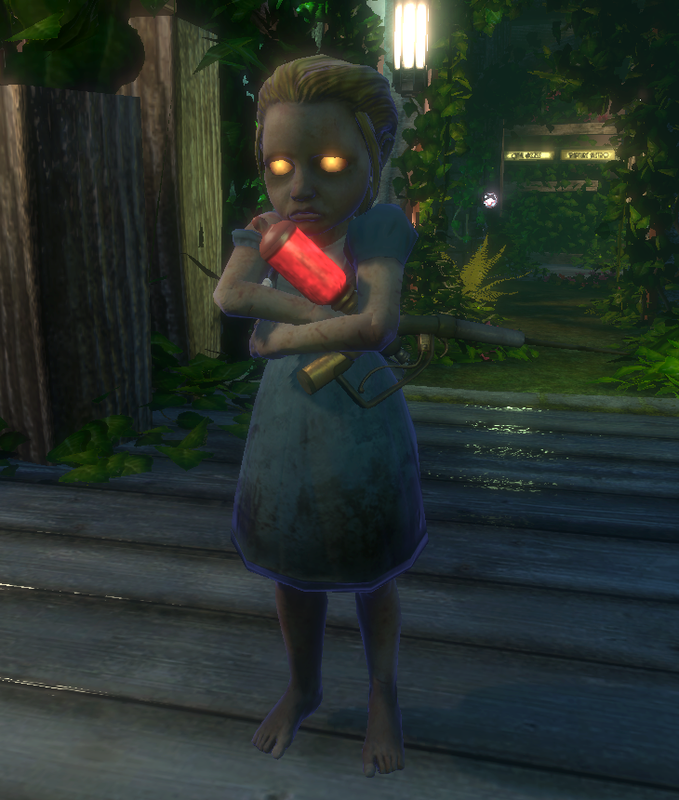 Within the cultural context of Rapture, bioethical standards are vexed by technological innovation, economic demands and unique moral values. According to Diane McClintock, who witnesses Rapture’s fall, “There are no innocents. There are heroes and there are criminals,” (2007) but even the heroes are morally culpable and often ethically compromised. The boundaries between human and post-human become slippery, but at no point in time does anyone in the game ever equivocate that their actions were wrong. According to the moral philosophies of Rapture, the heroes are those that explore and exploit the moral ambiguity of the city, whereas the criminals are the “parasites” that feed off of others’ entrepreneurship and innovation. The objectification of the Little Sisters into disposable, monstrous commodities is only morally reprehensible from a Western ethical perspective. Therein lies the true genius of BioShock. The creators creatively estrange the protagonist and the player from a world that seems close enough to their own that they carry the same value judgments, yet different enough from contemporary society that the participants are forced to grapple with their own preconceived cultural biases and interrogate what informs their sense of right and wrong. As Ray Bradbury has said, “I don’t try to describe the future, I try to prevent it,” and BioShock presents us with a speculative past that could easily become our prospective future. 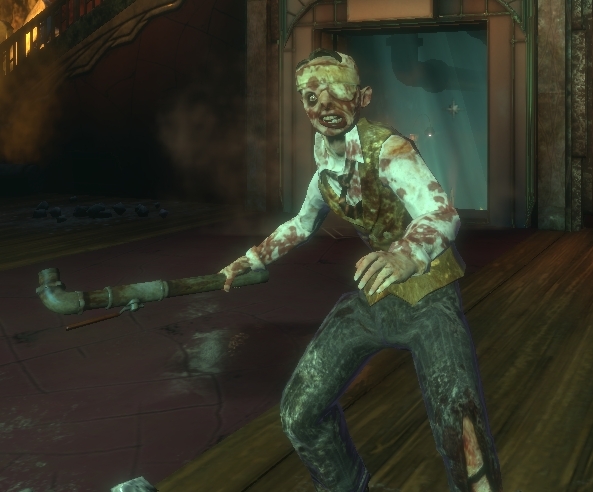 BioShock thus encourages its players, its participants, to consider the path a society would take to arrive at the same structures of biopower and bioethics Rapture exalts. Davis, Colin (2005). “Hauntology, Spectres and Phantoms.” French Studies, Vol. LIX, No. 3. pp. 373–379. Lauro, Sarah Juliet & Karen Embry (2008). “A Zombie Manifesto: The Nonhuman Condition in the Era of Advanced Capitalism.” boundary, Vol. 2. pp. 85-108. Lock, Margaret & Christina Honde (1990). “Reaching Consensus About Death: Heart Transplants and Cultural Identity in Japan.” Social Science Perspectives on Medical Ethics. Eds. G. Weisz. Philadelphia: University of Pennsylvania Press. pp. 99-119. Marx, Karl & Friedrich Engels (1848). The Communist Manifesto. Marshall, Patricia A. (1992). 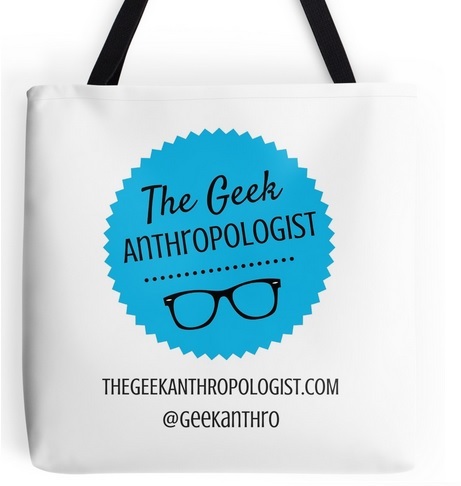 “Anthropology and Bioethics.” Medical Anthropology Quarterly, Vol. 6, No. 1. pp. 49-73. Meagher, David (2011). “The Uncanniness of Spectrality.” Mosaic, Vol. 44, No.4. pp. 177-193. Niccol, Andrew (1997). Gattaca. Columbia Pictures.